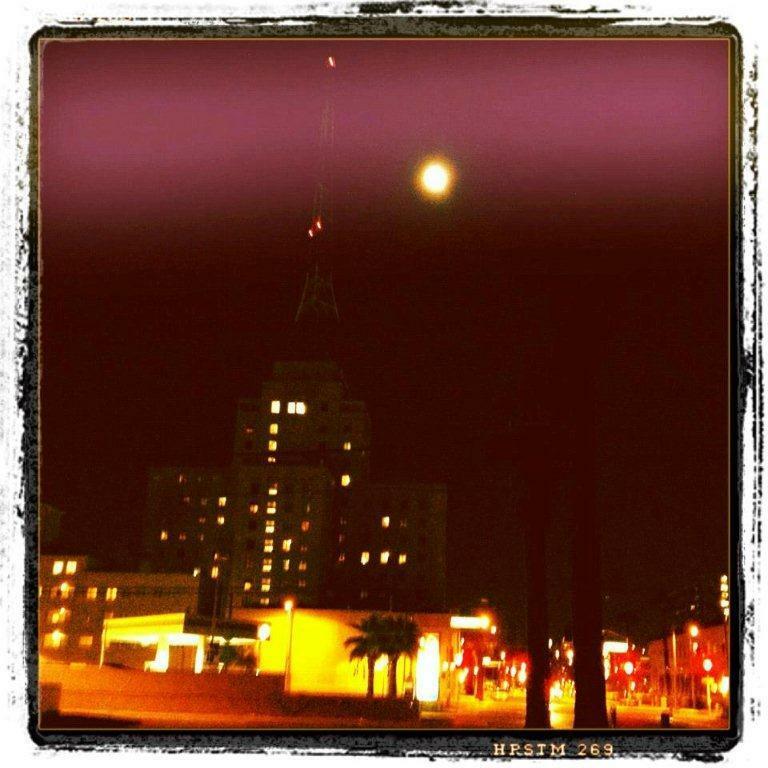 Construction of the hotel was announced in spring 1927 under the originally planned name, Roosevelt Hotel. The project was financed by Sutherlin-Barry & Company of New Orleans, Louisiana, for owner G. L. Johnson of Chicago, Illinois. 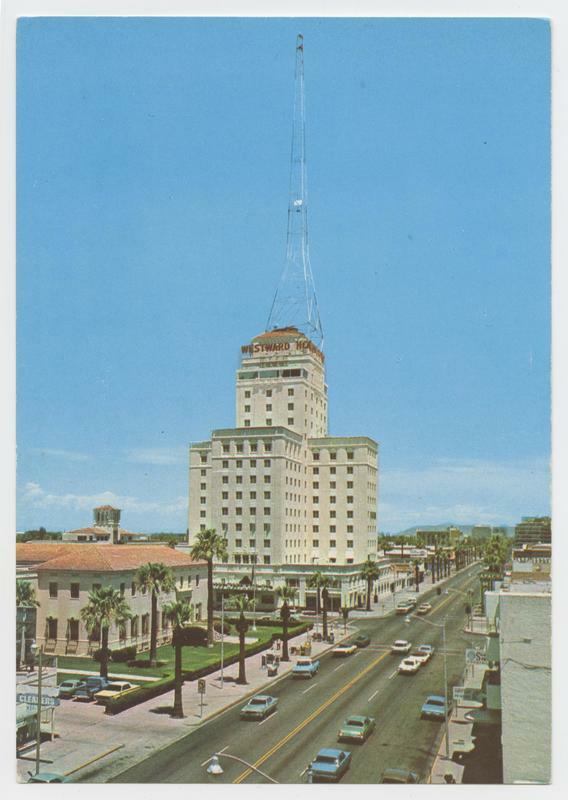 The architectural team who designed the hotel were Fisher, Lake, and Traver, who had also designed the Roosevelt Hotel in Hollywood, California a few years before. The hotel was to be operated by Johnson's Pacific Hotel Company. Work came to a halt in early 1928 with only 6-stories completed. In April, J. 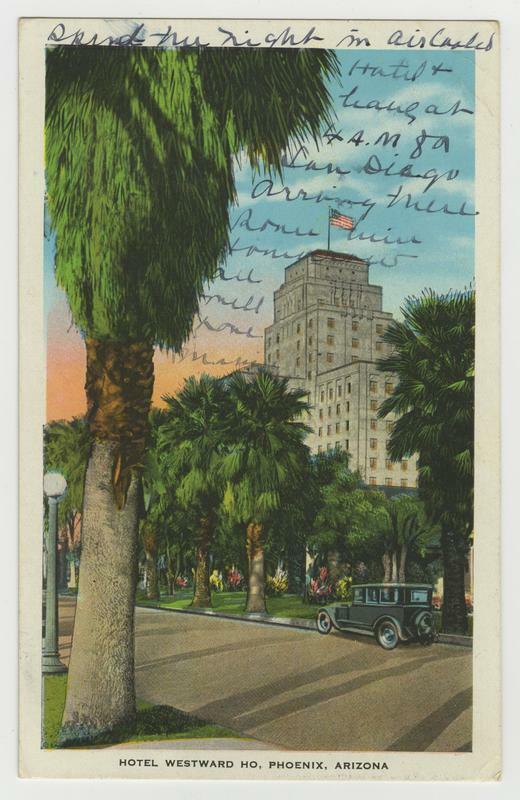 B. McNeil Company of Los Angeles, California, were awarded a contract to complete the hotel. In September 1928, Charles V. Bob of New York City purchased all issued and outstanding shares of the Pacific Hotel Company from G. L. Johnson, complete financing of the hotel was transferred to Bob, including construction, furnishings, and equipment. August Heckscher loaned $275,000 to Bob prior to the purchase, in return for the loan, Bob pledged 10,000 shares of Pacific Hotel Company to Heckscher. 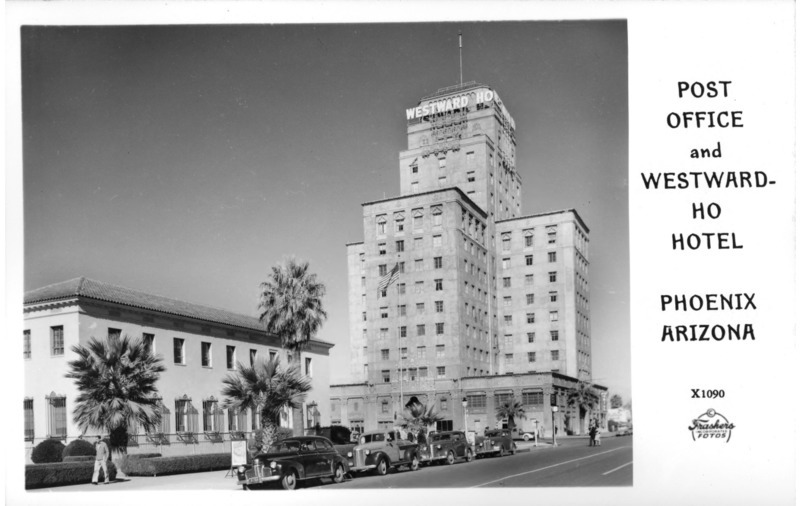 Following the transfer of ownership, the hotels future name was changed from Roosevelt to Westward Ho. On September 20, Southwestern Supply Company of Phoenix was awarded a $100,000 contract for the heating and air-conditioning of Western Ho. The hotel officially opened its doors on December 15, 1928. 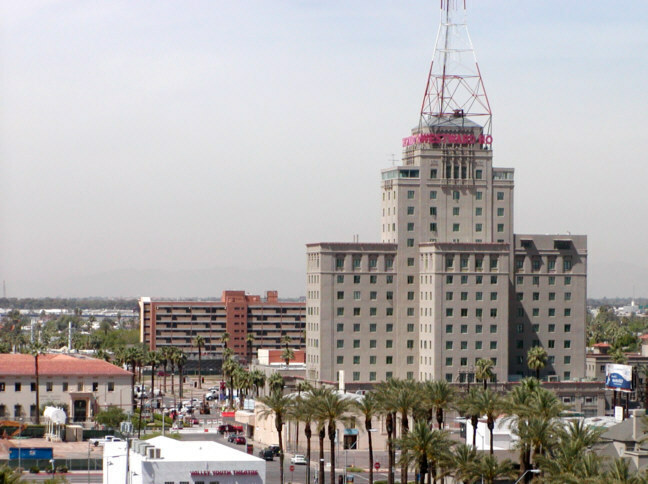 The 240 ft (73 m) steel tower and 40 ft (12 m) antenna on top of the building were erected in 1949 to broadcast Phoenix's first television station, KPHO-TV. 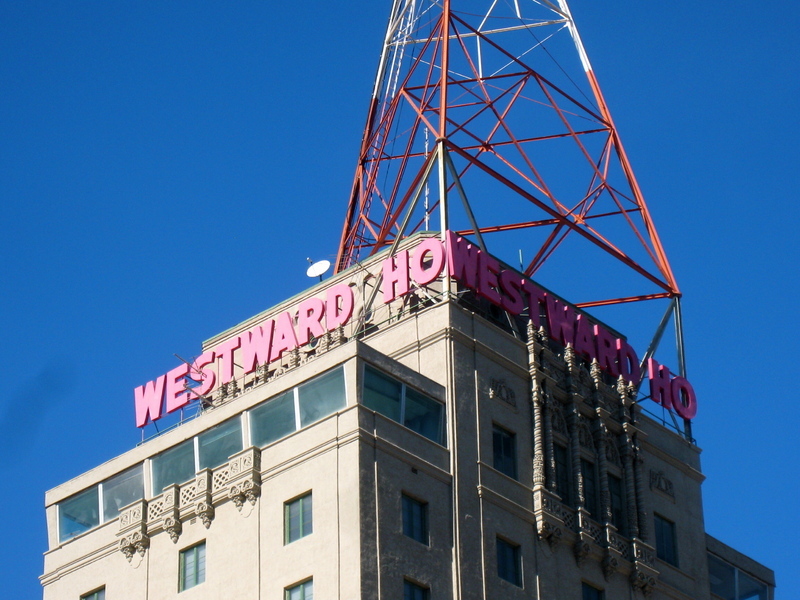 In 1960, KPHO moved to its new transmitter on South Mountain, the antenna on Westward Ho now functions as a cell tower. 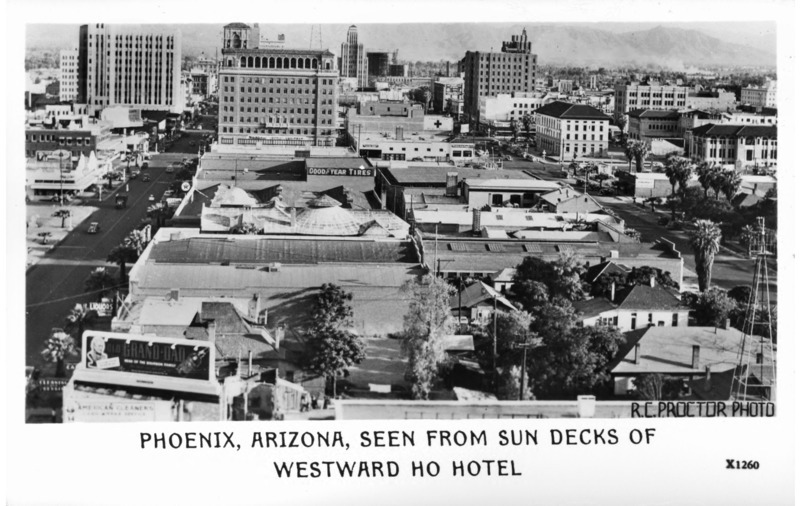 In 1982, the National Register of Historic Places recognized the Westward Ho as a historic building. In 2003, the building was acquired by the Phoenix Preservation Partnership, a Rhode Island-based group of investors. 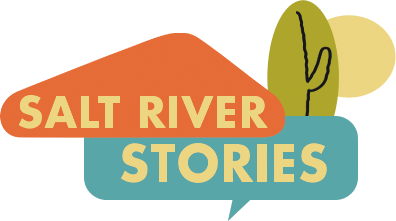 Mark Tebeau, “Visions of the Westward Ho,” Salt River Stories, accessed April 18, 2019, https://saltriverstories.org/items/show/74.